The man who was told he would never walk again! For the first time since being paralyzed 17 years ago, I jogged! It was amazing and exhausting, I felt muscles in my legs that I haven’t felt in years! I’m working on strengthening the tibialis anterior muscle on my right leg that that allows me to pickup my foot so I don’t trip when I run. I have 11 more weeks of water therapy and I hope by the end of that time I will have transitioned to jogging out of water. 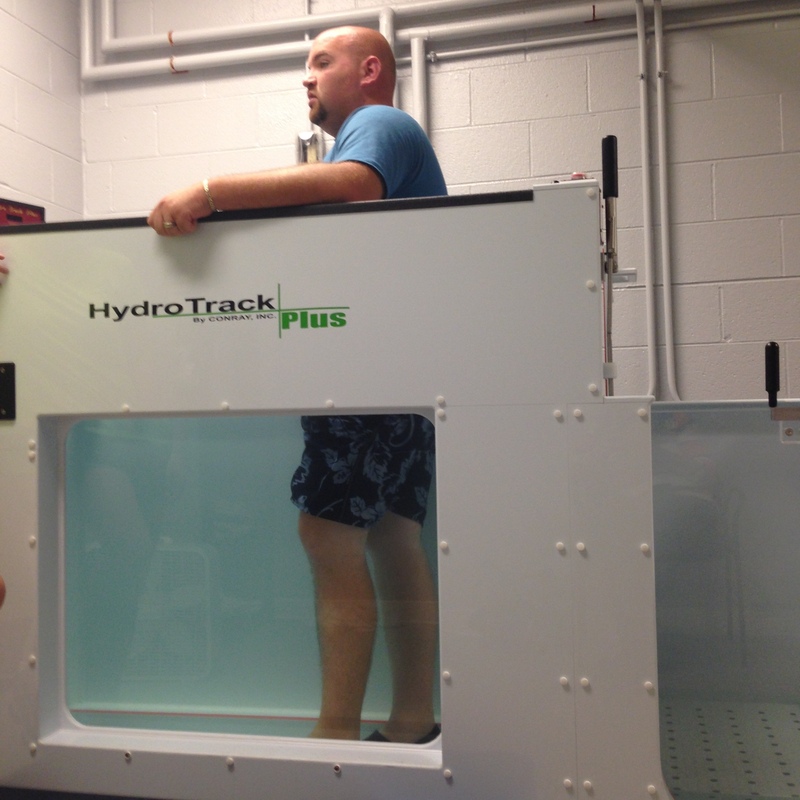 I started the underwater treadmill study (read more here) at MTSU last month and I can already notice a difference. I’m able to feel muscles in my legs that I couldn’t feel before I started. They also have me walking at 2.1 mph which carries over to my walking out of water. Both my wife and mother have mentioned that I’m walking faster now than I have been. I have 11 more weeks and I’m excited to see how much more I can improve! Shand Goddard talking with Dr. Stevens at the MTSU Exercise Science department. March 16, 1997 is the date when my life was drastically changed; everything turned upside down in the world that I knew at the time. A horrible accident left me, a 15-year-old kid, facing a scary possibility of being a paraplegic who would be bound to a wheelchair for the rest of my life. I didn’t want to hear those words, and was convinced that God had other plans for me, although I must admit, I was not sure what those plans would be. In reality, no one knows what the next day will bring. While things looked gloomy at that time, something down deep in my spirit convinced me that brighter days were ahead. At this writing, I live a productive life free of a wheelchair; have a beautiful wife and a young family and travel throughout as a motivational speaker. As I try to piece the entire puzzle together, I’m convinced that there is a purpose for everything. The Bible reminds us that all things work together for good to those who love the Lord. You see, I believe that I am God’s purpose and that He is my purpose. When you finish reading my story, I believe you will agree.